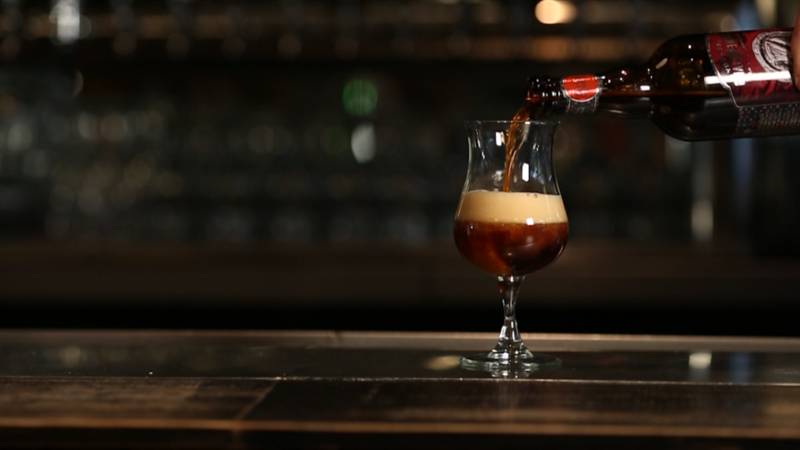 What exactly is luxury beer? "Whether it's a top-rated brew or one with new or seasonal ingredients, everyone wants to get their hands on exclusive batches. The demand is certainly there, and people are stepping in to fulfill that need in unsavory ways," said beer cicerone Anne Becerra. It's common for craft brewers to release small or limited-time batches of a beer. Most of the time, it's out of necessity. "For us, it's a space issue," said Russian River Brewing Company co-owner Natalie Cilurzo. "We are physically limited to producing a finite amount of beer due to property, building and ultimately, tank space. At some point there is just nowhere left to put one more tank." Other times it's particular ingredients, production costs and lengthy brew times that lead to smaller batches. But scarcity creates a demand that also generates hype, which some sellers are seizing on. When supply is limited and demand is strong, price gouging is common. And brewers are having a hard time fighting the black beer market. "I am constantly finding our beer being sold in places it shouldn't be at incredibly high prices," said Cilurzo. "They are getting away with it." Many of these hard-to-get brews are getting sold online, in stores and even in restaurants at 5-20 times the original price tag. Russian River puts out a popular seasonal sour beer that sells for around $5, but Cilurzo said she's seen it online selling for $100 or more. Bill Sysak, craft beer ambassador at Stone Brewing Co., said he's seen a limited-edition beer from his brewery being sold online for more than $1,000 a bottle. It was originally sold in 2002 for $7.99, and probably isn't worth the inflated price. After all, 95% of all craft beers are meant to be consumed right away. Quality control is a big issue for brewers. How and where a beer is stored can have negative effects on beer quality in just a matter of days. "Beer is a food product and it does not take much to spoil it," said Cilurzo. Tomme Arthur, co-founder and brewmaster at Lost Abbey, introduced a cherry version of its popular Cable Car beer in 2012 and sold it for $45 for a 750 ml bottle. Only 80 cases were made, and he said it's now being sold for $800 on the black market. The black market also means someone else is profiting from the brewer's hard work and money, and can hurt a brand's reputation. "Breweries that produce these special beers have costs that include alcohol and business licenses, paying sales, property taxes, production costs without seeing any added revenue from these black market sales," said Sysak. Price gouging has left a bad taste among the beer community, but there are also legal implications. Each state has its own alcohol regulations, as do shipping companies. Brewers need the proper licenses and permits to sell and distribute their products. "They cost money and we pay a lot in taxes. There aren't any rules with how one goes about selling beer in a garage," said Arthur. But unscrupulous sellers get creative. When posting an in-demand beer online, they only describe the bottle and label and won't mention the alcohol inside. Ebay has cracked down on these sales, but as Becerra said, "where there's a will, there's a way. They find other sites. It's getting ridiculous"
Bloated beer prices have also being found on retail shelves and restaurants. "It's not a good way to build your brand," said Cilurzo. "Our recommended selling price can be $5, and yet we see it in a liquor store that bootlegged it and put it on the shelf for $25. The consumer doesn't understand we have nothing to do with that."